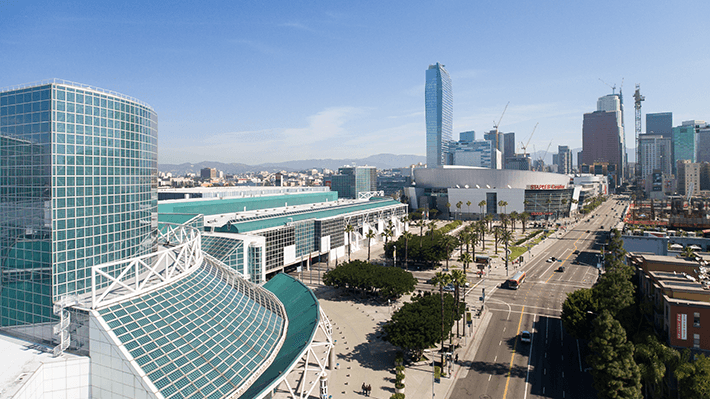 SIGGRAPH is nearly upon us! Discover, Connect & Create with Unity! SIGGRAPH is our kind of show - the world’s largest, most influential annual conference and exhibition in computer graphics and interactive techniques. What a place for the Unity Community to welcome you! Come learn how Unity researchers are pushing the envelope in advanced computer graphics, discover how Unity is used by the best creators producing the best content, and see how artists and designers can use Unity’s powerful new features to tell better stories today. We can’t wait to share our latest updates and connect with you! To help you prepare for the week, we’ve listed the Unity events and sessions at SIGGRAPH on this site. The Unity Community has so much to offer that we needed some extra space! Come attend presentations and talks from Unity developers, partners, and experts in Unity Central (room 503). Learn advanced techniques, see behind the scenes of cutting-edge 2D, 3D, and VR projects, and be inspired by avant-garde digital creations. Read about the published articles by the Labs team that were accepted by ACM SIGGRAPH! Learn more about the Course program. Preview of the Wolfram Language's UnityLink — a unique, seamless interface to the Unity game engine. Use UnityLink to immediately access high-level Wolfram Language functionalities within Unity, including machine learning, computer vision, and computational geometry. We will take you through interacting with the Unity engine from the Wolfram Language, injecting real-world data into your games, algorithmic asset generation and more. Sponsor Speaker: Jules Urbach, CEO and Founder of OTOY, Inc.
Jules sets the strategic direction and vision for the company, and is the chief architect of OTOY’s technology roadmap. Prior to OTOY, Jules created the web’s first 3D video game platform and licensed the software to Macromedia, Disney, Warner Brothers, Nickelodeon, Microsoft, Hasbro and AT&T. Hailed by technology writer George Gilder as “the most inventive software engineer he has ever met,” Jules has been featured in numerous publications including Forbes, CNN Money, and All Things Digital. Join industry veteran, renowned CG instructor, and author Eric Keller (10 Cloverfield Lane, Star Trek: Beyond) as he provides an opening tour of the new Octane integration with Unity now launching at SIGGRAPH. Learn what’s available today, and what’s in store for the Beta and future releases. Eric will demonstrate how to render Unity projects within Unity’s PBR Viewer which offers the ability to render your game assets with physically accurate lighting. Eric Keller has been working as a visual effects artist and scientific animator since 1998. His career spans a diverse array of computer graphics visualization from animating of complex biological systems for Nobel Prize-winning scientists at the Howard Hughes Medical Institute to creating creatures and digital sets for feature films at Bad Robot. He has authored numerous books and video series on CG techniques including “Mastering Maya,” “Maya Visual Effects: The Innovator's Guide,” and numerous video series for The Gnomon Workshop, Lynda.com, and Pixologic. He is also an instructor at The Gnomon School of Visual Effects and has been a guest lecturer at Harvard Medical School and The LA Academy of Figurative Art. Eric has worked at leading studios in LA including Imaginary Forces, Filmograph, Prologue Films, Digizyme Inc., and Kelvin Optical. Vinny DaSilva will show you how to create AR experiences for physical objects using Vuforia’s new Model Targets feature in Unity. This session will cover the workflow for preparing a Model Target from a 3D Model, and the steps to develop an AR experience using Model Targets. Best practices and design considerations will also be addressed. The talk is suited to developers familiar with Unity. An understanding of AR concepts will be helpful, but not required. This talk is a discussion surrounding the next generation of game development workflows for designers and developers that incorporate deep learning; and how to get involved with Unity’s Machine Learning Group and Unity Labs to work on some of the related problems and solutions. This advanced talk will explore the unique problems of VR rendering. We will briefly describe how the Oculus SDKs correct for lens distortion, rendering latency, and other HMD-specific issues. But we will spend the majority of the time helping you maximize immersion by (1) budgeting CPU and GPU resources for the best quality/performance trade-offs and (2) debugging common performance and quality issues in Unity. Many topics will be HMD-independent. David leads Oculus' engine integration team. He has worked in real-time 3D in California for about a decade. Before that, he obsessed over the same and did schoolwork on the East coast. Some of his interests include rendering algorithms, computer architecture, physical simulation, and sound. Before joining Oculus, he worked at NVIDIA, Havok, and zSpace. He also enjoys hiking, playing music, and reading. As part of the Random Sampling session. Stay up to date on the latest Unity @ SIGGRAPH 2017 news.